Super Hero Boy: I wish someone would buy me some Ice. I wish someone would buy me some Ice. I've always had these romantic dreams of coming home to a beautifully wrapped little box, some amazing piece of thoughtfully purchased jewelry waiting inside. I'm not talking about diamonds, though they would be fabulous that's not exactly the point, the point would getting a piece of jewelry that truly matched my personality. No matter if your tastes are diamonds or if your just looking for a affordable gift such as this amazingly beautiful resin and sterling silver bracelet I found on Ice.com you can find everything from your future wedding ring to a great pair of earrings. I've been looking for a great gift for my mother and seeing as she truly is the woman who has almost everything a good gift for her can be quite challenging. As a full time student and the wonderful author of this blog finding a gift on a budget is a big priority but it has to be equally as fabulous as something that costs three times as much! Talk about pressure. With hundreds of fabulous jewelry pieces under $100 at Ice.com and even more that offer payment plans your bound to find something for everyone on your list. The silver resin bracelet I found for my mother is perfect, timeless, modern, clean, just just a touch of color to give it some character. The blue resin is a bit less bright than what is show in the picture which actually makes it a bit more neutral than you would think and you can wear it with almost anything. I'd actually love to have one myself but after this post I'm fairly positive my mom will know what she is getting for Christmas. So I guess I have to give it to her at this point. heh. The most unique aspect of Ice.com as along with the wedding rings, huge selection of silver jewelry, watches, designer pieces, they seem to still have time to dedicate a whole section to children's jewelry. I love the tradition of baby bracelets and the alphabet children's bracelet is not only beautiful, but its timeless, and most importantly its adjustable so you can get quite a bit of wear out of it before you have to store it. It comes in a beautiful gift box as well so when its time to put it in the memory box it will be safe and ready for the next baby or grandchild. 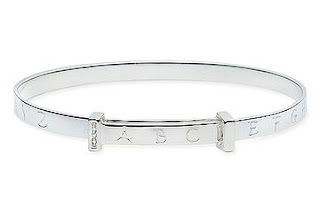 Ice.com has given me a alphabet children's bracelet to give away to one very very lucky winner! Ice.com is offering our readers 20% off everything (except engagement rings and sale items) till Oct 31st! Use code : SDABB! Leave a comment on this post. Check out Ice.com's children's jewelry and tell me which piece from the children's collection is your favorite and who you would love to give it to. I love the Sterling Silver Locket with Pink Crystals and Cross Motif-adorable! Childrens 14K Yellow Gold Enamel Ladybug Station Bracelet would be my favorite ! Thank you so much for the chance to win! I am a subscriber! Thank you! I love the Diamond "Twinkle, Twinkle" Sterling Silver Pendant w/Chain. There is something magical about a locket! I know my little 22 month old daughter would love this! What pretty jewelry. I'd really love to buy my daughters the colorful heart station bracelet towards the bottom on page 1. I don't know if or when I can start entering to win again because I just won the Transformer DVD? Please let me know. Anyway I like the pearl neclace in yellow 14kt. I have a friend that just had twins and one is a girl. I think it would be a great present for her. The only other girl child I know is almost not a child and she might be too big for it. Although she would love it if it fit. I really like the Childrens 14K White Gold Diamond Rocking Horse Pendant w/Chain. If I were fortunate enough to win it, I would give it to the little gal I take care of, she is 6 years old! I love the Childrens Cultured Freshwater Pearl 14K Yellow Gold Necklace. I would allow my daughter to wear it on special occasions. She's 2. My favorite piece of children's jewelry is the Diamond "Twinkle, Twinkle" Sterling Silver Pendant w/Chain. It's simply stunning! Should I win, the bracelet would go to be beautiful 12 month old Paige. All the children's jewelry is very beautiful. My favorite is the Childrens 1/10 Carat Diamond and Pink Enamel Heart Charms Sterling Silver Bracelet. I would give this to my granddaughter Grace. Thank you so much! Sterling Silver Locket with Pink Crystals and Cross Motif w/chain is my favorite. I would get it for my daughter. I love the silver bangle with the dangling hearts and the freshwater pearl and gold necklace would look so pretty on Roo! I'd get the twinkle, twinkle locket for my niece. It's beautiful. Love the Rocking Horse pendant. It would be great to give to my four year old granddaughter. I love all their jewelry! The Childrens Diamond Sterling Silver Angel Necklace caught my eye this time - I can see my "angel" wearing it! They have some beautiful pieces. I love the Childrens Bracelet: Sterling Silver Bangle. The cute little shoes going around are adorable. My favorite is the Bangle Sterling Silver with the little hearts that dangle. It could be an older girl's bracelet too. Thanks for the opportunity to enter. I really like the Children's 14K Yellow Gold Charm Bracelet. My daughter has been asking for a charm bracelet, this one is so pretty. I would love to get the sterling silver locket with pink crystals for my 8yo. She has been talking about wanting a locket so she can put pictures in it. Very pretty stuff! This one is my favorite! They are so femine and pretty! My favorite is the childrens 14K yellow Gold Enamel Heart Charm Bracelet. It looks so familiar, I'm sure I had a similar style growing up and just love everything about it! Thanks for the chance to win! The freshwater pearl neclace, i would give it to myself!! LOL! My daughter would love this! Thanks so much for the giveaway. My favorite item from the children's collection is the diamond "twinkle twinkle" sterling silver with chain. I love the sterling silver locket with the pink crystals. Beautiful children's jewelry!! My favorite is the Childrens 1/10 Carat Diamond and Pink Enamel Heart Charms Sterling Silver Bracelet. I'd love this in my size, too....LOL!!! I think the children's heart bracelet in sterling silver is lovely and I would give it to my little girl. I just love ice.com. I never knew they sold childrens jewelery. I love the Childrens 14K White Gold Diamond Heart Pendant w/Chain. If I win, I'd give this bracelet to my daughter Rielly. Thanks so much. I love the Sterling Silver Locket with Pink Crystals and Cross Motif. So beautiful! I would love to give the bracelet to my daughter. My mom gave baby bracelets to both me and my sister. It's kind of a family tradition, but we haven't been able to afford one for Kora. Hope I win! Thanks for the great giveaway! oh i would love to give my daughter the Diamond "Twinkle, Twinkle" Sterling Silver Pendant w/Chain! I love the Childrens 14K Yellow Gold Enamel Ladybug Station Bracelet! Adorable! What beautiful keepsakes! If I were to win, I would put the bracelet back in a special box. I have two boys and I know that one day, there will be a grandchild. I read a story once about a woman that did something similar and after she passed away, the son brought out the special box and gave each family member their very own special gift on the anniversary of her passing. It touched me so much that I vowed to do the same. I would choose the White Gold Diamond Heart Pendant. It's just beautiful. I would love the Children's 14K Yellow Gold Charm Bracelet for my son. I love the sterling silver heart bangle for my daughter. I love ice.com. Nearly four years ago for my wedding gift from my husband I got a beautiful right-hand ring from there and I get compliments on it all the time! And they are affordable too. My favorite is the Sterling Silver Locket with Pink Crystals and Cross Motif w/chain. I'd give it to my daughter. I love the Childrens Silver bracelet: Sterling silver diamond. I would have it engraved as an ID bracelet and give it to my nephew! Really dreaming here so I like the 1/2 Carat Diamond 14K White Gold Studs. I love the Diamond "Twinkle, Twinkle" Sterling Silver Pendant w/Chain. I would give this wonderful necklace to my beautiful daughter. Diamond "Twinkle, Twinkle" Sterling Silver Pendant w/Chain - so cute! Thank you for having this! I really like the Childrens 1/10 Carat Diamond and Pink Enamel Heart Charms Sterling Silver Bracelet. I would love to win this for my daughter. She just turned 6 and would love this. Thank you! My fav is the Diamond "Twinkle, Twinkle" Sterling Silver Pendant w/Chain. I would give it to Rylee. My favorite is the sterling silver childrens bangle. I would love to give that to my daughter. Love the girl's Diamond Heart Pendant w/Chain. I would give it to my daughter. I dream of the 1K black and white diamond 14K white gold ring! I love the Children's 1/10 Carat Diamond & Pink Enamel Heart Charms S/S Bracelet! This would make a perfect gift for my four year old grand daughter who thinks she is a Princess, Pink Princess that is. I really like the sterling silver bracelet with all the colored hearts. I would give it to my granddaughter. I love the fresh water pearl necklace. I love the Bangle: Sterling Silver with the little hearts. I would give it to my daughter. I love the Pink Enamel Heart Charms Sterling Silver Bracelet! Im also a subscriber, thank you! Well, I could not let this momentous occasion pass without bloggin it, could I? I love the Twinkle Twinkle locket and would give it to my niece :) Thanks or the beautiful giveaway. I like the Sterling Silver Locket with Pink Crystals and Cross Motif and I would give it to one of my 5 girls! I would love to have the Diamond "Twinkle, Twinkle" Sterling Silver Pendant w/Chain for my daughter! Thanks! I love the silver bracelet with the ladybugs - so adorable! I like the Childrens 14K White Gold Diamond Rocking Horse Pendant w/Chain. I would love to get the sterling locket for my daughter, Kelsey. Childrens 1/10 Carat Diamond and Pink Enamel Heart Charms Sterling Silver Bracelet is just the perfcet gift. I would like to give it to my daughter who has been working really hard this year in school with her grades. I really love the Childrens 14K White Gold Diamond Heart Pendant w/Chain. I would give it to my cousin's daughter. for my daughter! I think it would be perfect for her for any occasion! the Diamond "Twinkle, Twinkle" Sterling Silver Pendant w/Chain is just lovely!! My favorite item at the children's jewelry site is the Tooth Box. As far as jewelry, the Cultured Freshwater Pearl 14K Gold Necklace is my favorite. If I won the Alphabet Bracelet, I'd give it to my niece for her new baby. i like the twinkle twinkle locket. I think the silver tooth holder is adorable! The diamond heart pendant. My niece is going to be 3 and she would look adorable! I like the Childrens Silver tooth box: Sterling silver diamond. My fav is the Childrens 14K White Gold Diamond Heart Pendant and chain. I really like Children Toothbox! i like the gold necklace with pearls. I would love the Childrens 14K Yellow Gold Enamel Ladybug Station Bracelet for my daughter. She thinks ladybugs are special. I love the Diamond and Pink Enamel Heart Charms Sterling Silver Bracelet- I would give it to my daughter who is due in December. I would love to give my daughter the Diamond "Twinkle, Twinkle" Sterling Silver Pendant w/Chain. 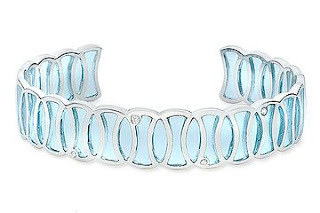 The Childrens Silver bracelet: Sterling silver diamond is absolutely beautiful! I'd get the twinkle, twinkle locket for my granddaughter. Thanks!! I like the Childrens Diamond Sterling Silver Angel Necklace. So pretty! Thanks! I like the children's heart bracelet in sterling silver. I would give the 14K yellow Gold Enamel Heart Charm Bracelet to my middle daughter. She would NEVER take it off. I would love to give the Diamond Sterling Silver angel necklace to my niece! I like the Diamond "Twinkle, Twinkle" Sterling Silver Pendant w/Chain. It's adorable. Thank you! sterling silver baby shoe charms bracelet is my favorite. I would give it to my goddaughter. I heart the Gold necklace with pearls! I adore the Childrens Diamond Sterling Silver Angel Necklace!!! I would give it to my niece who is the ultimate angel in my eyes!!!! I love the Sterling Silver bracelet with the different colored hearts. I would give this to my niece. Thanks for the chance to win! I would like the Childrens 14K White Gold Diamond Rocking Horse Pendant w/Chain for my daughter.